The latest generation of protection for Galaxy S6. Water proof, Dirt proof, Snow proof , Shock proof. Tough polycarbonate frame, scratch resistant water proof screen protector. The case has completely re-engineered speaker ports to deliver maximum acoustic output and sound clarity. Sound enhancement system, allows you to get the most loudly music and movies. Take your Galaxy S6 everywhere and do anything everyday with our case. WaterProof: Fully submergible to 6.6’ / 2 m for 30 minutes. Dirt Proof: Sealed from dirt & dust particles – meets or exceeds IP-68 Ingress Protection Rating. Snow Proof: Sealed from snow & ice – meets or exceeds IP-68 Ingress Protection Rating. Shock Proof: Withstands drops from 6.6’ / 2 m – meets or exceeds MIL STD 810F-516. 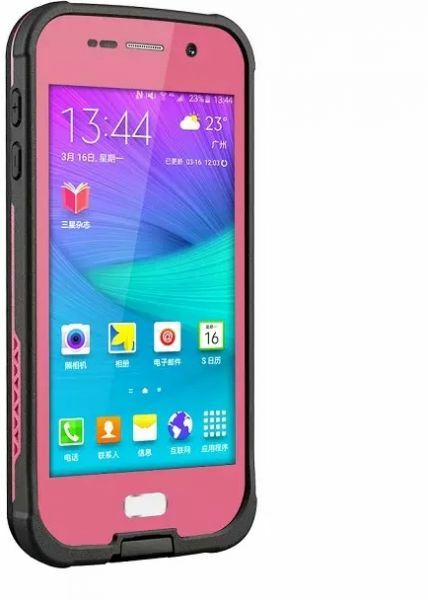 Function: Waterproof, Shockproof, Snow Proof, Dirt Proof.